Powers to ban troublesome alcohol promotions could be given to councils. Proposals from home secretary Jacqui Smith, including allowing councils to restrict ‘happy hours’, ban glass drink containers and ensure bouncers check patrons for weapons and drugs, have been put out for consultation. She decided against introducing a minimum price for alcoholic drinks, which she said would “unfairly punish the sensible majority of responsible drinkers”. Local Government Association deputy chair Richard Kemp (Lib Dem) said: “There is no doubt that councils with city centres which are blighted by drunks picking fights or people being taken ill on the streets need to be able to act against premises selling alcohol in irresponsible ways. Meanwhile, the Commons culture, media and sport committee has issued a report on the Licensing Act 2003, which passed pub licensing to councils. MPs said licence requirements had stifled live music and that venues with a capacity of fewer than 200 people should be exempt, while fees should be cut for not-for-profit clubs. 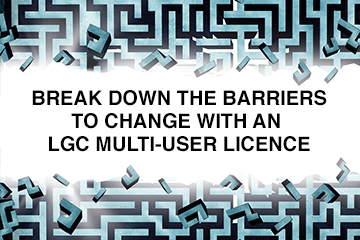 They urged councils and the government to simplify a licence system which they said remained “too bureaucratic, complicated and time-consuming”. London councils have said that government proposals for blanket late night drinking bans are not the best way of tackling alcohol-related disorder.